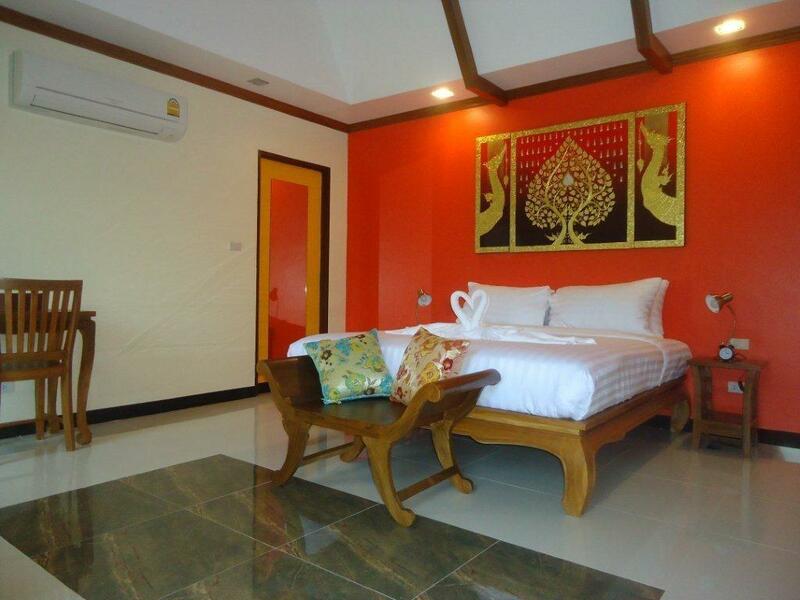 Есть вопрос для Baan Malinee bed and breakfast? Посещая город Пхукет, вы почувствуете себя как дома в Baan Malinee bed and breakfast, где вы всегда найдете отличный сервис и доброжелательную атмосферу. Этот 4-звездочный объект размещения расположен всего в 15 km от аэропорта. Объект размещения расположен поблизости от таких известных городских достопримечательностей города, как Ват Чоенг Талай, Daniel Collections, Парк Anthem Wake. Baan Malinee bed and breakfast также предлагает широкий спектр услуг, которые скрасят ваше пребывание в городе Пхукет. Объект размещения предоставляет своим гостям бесплатный Wi-Fi в номерах, ежедневная уборка, услуги почты, услуги такси, служба заказа билетов, чтобы обеспечить им максимальный комфорт и удобство. Здесь вас ждет необычайно высокий уровень комфорта и качества. А в номерах вы найдете: телевизор с плоским экраном, дополнительная ванная, дополнительный туалет, высокий детский стул, бесплатный кофе и т. д. Отель предлагает прекрасный выбор услуг для отдыха, например: аквапарк, сноркелинг, гидромассажная ванна, внешний бассейн, дайвинг. Получите удовольствие от первоклассного обслуживания и широкого выбора услуг в Baan Malinee bed and breakfast. Пожалуйста, обратите внимание: отель предлагает трансфер до/от международного аэропорта Пхукета за дополнительную плату, которая оплачивается непосредственно в отеле. Чтобы воспользоваться услугой трансфера из аэропорта, гости должны сообщить информацию о рейсах при совершении бронирования в поле для специальных запросов. Very good breakfast and clean room. I really like the garden. 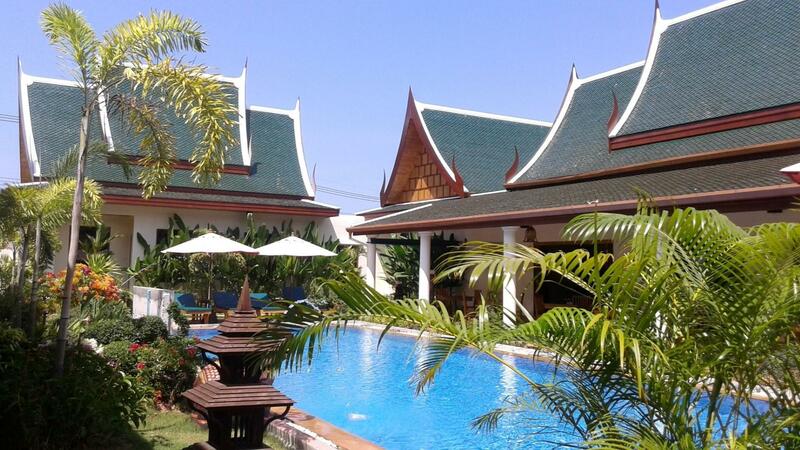 if you want to enjoy a private and quiet time in Phuket, this is a perfect place! I was not expecting this impeccable level of service from a Bnb. Absolutely blown away by the cleanliness, breakfast and hospitality from the owners, Eric and Malinee. This place is legit and deserving of their rating. The pastries they bake for breakfast are the best we had in Phuket. We appreciate that Eric tirelessly drives us to a gd beach and town daily at scheduled times. Great place to come if you just want to get away from the buzz in Phuket towns. Very friendly, very clean, and just beautiful. The best B&B we've ever had! We found this to be an island of tranquility in a pretty frenetic Phuket. Yet, it is still no problem to take a taxi (or get a ride with proprietor Eric) if one wishes the beach and resort scene. Our room was immaculate, spacious and very comfortable. Taking a dip in one of the two pools proved to be a good way to cool down late in the afternoon on a hot, humid day. Breakfast was excellent and abundant too. However, the friendliness, helpfulness and hospitality of Malinee and Eric were major pluses in why one might wish to stay here. It will certainly by my choice if I am ever again in Phuket. By far our favorite stay during our trip to Thailand. The hosts were so gracious and helped us with every request we made for recommendations which resulted in an excellent time in Phuket. The breakfast each morning was superb. The room was modern and beautiful. The free rides to the nearby beach were a perk for sure. We could not have picked a better beach to be near and this is definitely where we will always stay in the future. The only con is that we had to leave, but we hope to be back as soon as we possibly can. Thank you for your incredible hospitality Eric & Malinee. We wrapped up our vacation with a short stay in this wonderful b&b before heading back to the US. The owners Eric and Malinee went out of their way to make sure we got to the hotel and anywhere we wanted to go. They even drove us to the beach and dinner. The rooms and grounds were exceptional, as was the breakfast and snacks. If you are looking to get away from it all and spoil yourself, this is the place for you. Only wish we could have stayed longer. We had the pleasure of staying 5 days in this little paradise in the care of eric and malinee, the owners. In our many trips around Asia and the plus 50 places we stayed this is in the top 3. Beautiful big room, great bed, great shower and jacuzzi. Also a very nice pool and a great breakfast in the morning. They will do their best to make this a great experience and for us that worked. Although there is no roomservice you can rent a motor with them for little money and plenty of restaurants and supermarkets around. We had a wonderful 5 days stay. Beautiful b&b and stunning rooms. Extremely helpful staff who offer transfers daily to the beach and to 2 restaurants (which is very helpful as taxi's can be quite pricey). Scooters easily accessible for daily cheap hire, to explore the whole island. Location is great as its quite central in the island making it possible to visit most places pretty easily. Delicious breakfast, fantastic room (suite), fiendly and perfect host and staff! The perfect B&B, close to the airport. 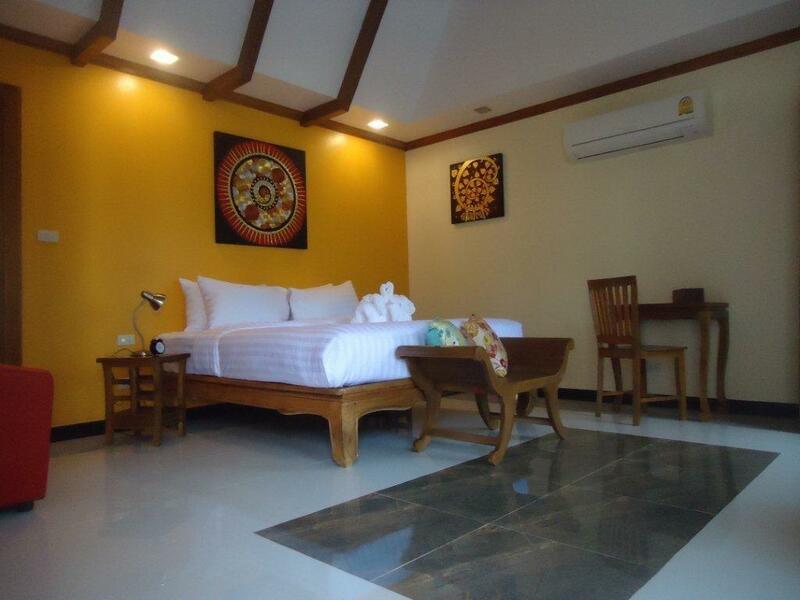 If you are looking for a quiet and high comfort stay in Phuket than this is the place to be!! Perfect service, very good information about restaurants, places to visit, fantastic breakfast, superb swimming pool and new accommodation with fantastic rooms. Thank you for your warm welcome Eric & Malinee! Go - it is absolutely perfect if you want peace and quiet. My husband and I stayed here for one night as a layover between the islands and our flight out of the Phuket hotel. It was a wonderful little spot and the dinner they offer and the inclusive breakfast were just amazing, some of the best food we ate our entire trip. It's location is not ideal (not close enough to the beach to walk...need to use the shuttle they offer once a morning), so my husband and I did not have time to leave the property. Knowing that they did have the shuttle, it would have been great to stay longer and see the beach here. However, we would still recommend this place with no question because of the quality! No matter how you have to travel to it, it is a great little place to come home to after a day out adventuring! Good afternoon I just get a look at our reviews after a long and hard season aorry for late reaction, I am surprised you where not aware of our beach shuttle service dept 10 am return 4 30 pm, I mention it on arrival when giving you the information you need to know. On top if you have a look in our directory it is also mentioned, even on our website and at 10 am you see the guests waithing to go to the beach.With pleasure we will show you the most beautiful beaches in Phuket. Thank you for your time and staying with us. Very peaceful and beautifully presented grounds. The staff were friendly and professional. We were very well looked after and particularly enjoyed the breakfast. The place is amazing lovely pool and gardens and huge room (we went for superior one) with large bath. The breakfast was very tasty (the break is freshly made by the chef every morning) and the owners were lovely and attentive. We were sitting outside our room relaxing and we were brought chocolate cake and fruit! We will definitely be back!!! This has to be one of the best hotels we have ever stayed in, the owners are the real stars of this place, nothing was ever too much trouble. Every day there was an offer to take guests to the local beach and once a week to Phuket night market. The hotel is a masterpiece of design, everthing is so well thought out. We recommend hiring a car even only for a few days, although local taxis can be had and a local bus (blue route) but only during the day We WILL return. The hosts, Eric and Malinee, were so friendly, attentive and helpful. Our room was beautiful with a spacious, spotlessly clean bathroom. The breakfasts were amazing. Lovely stay at Baan Malinee in May 2013 for three nights. The property is beautifully presented and the hosts very welcoming. It is not within walking distance to the beach however Eric provides free transport to Laguna beach in the morning with free pick up later in the afternoon. As soon as you enter their property, you will feel relaxed. Eric and Malinee are excellent hosts.